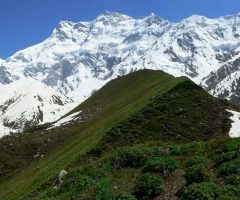 Nanga Parbat, Sanskrit for “Naked Mountain” is so named because some of its slopes are so steep that they are bereft of vegetation and snow. 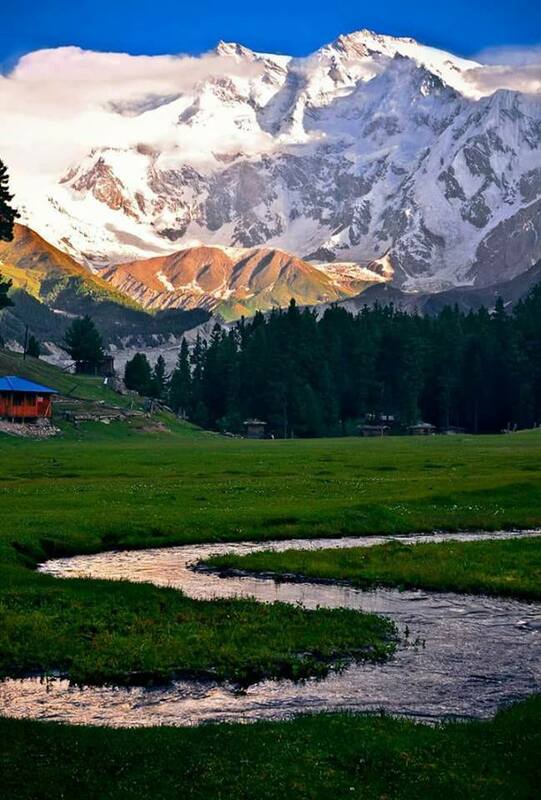 According to the local old legend, Nanga Parbat is also called Diamir, which means abode of fairies. It is believed that the Queen of fairies lives there in a castle made of solid crystal-clear ice, which is guarded by gigantic snow serpents and frogs. The earlier disasters in climbing this mountain are attributed to the displeasure of fairies. 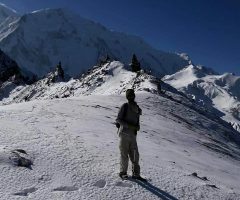 Nanga Parbat is not a single peak but consists of 20km long series of peaks and ridges culminating in an ice crest of (8125m). 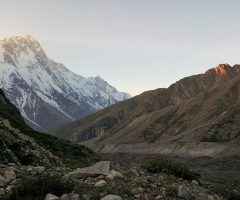 Its South Face known as Rupal Face is (5000m) high, while the North or Raikot Face plunging over (7000m) from the summit to the Indus forms one of the world’s deepest gorge. 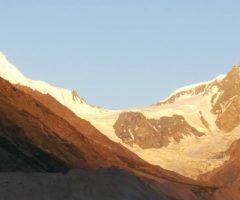 This expedition takes us to the South side, which is known as Rupal Face. 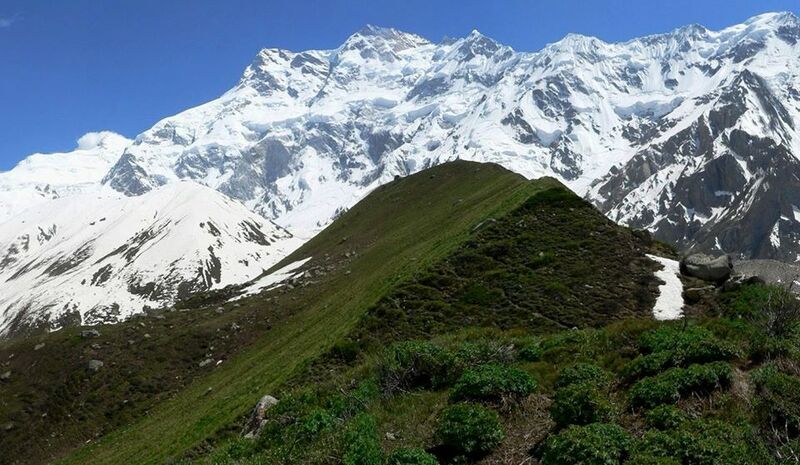 Nanga Parbat is the second highest mountain of Pakistan and ninth highest in the world. 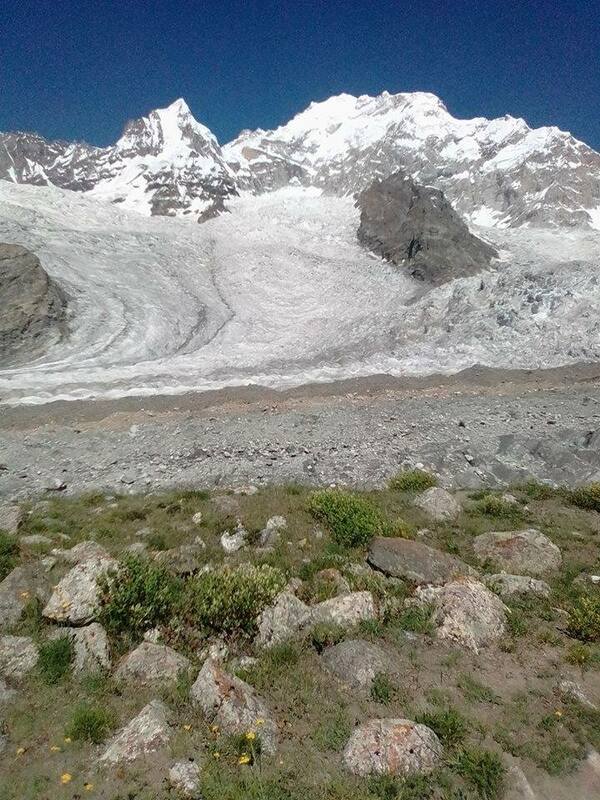 It is not part of the Karakoram as it is the western extremity of the mighty Himalaya. 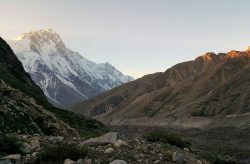 It is separated from the Karakoram by the mighty Indus River. 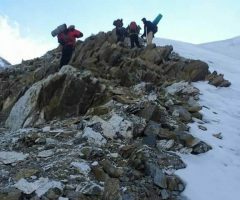 Since the first disastrous British expedition led by A. F. Mummery in 1895, mountaineers have tried to ascent its summit through different routes but few lucky ones have succeeded. In 1934 four German climbers and six porters perished in a storm. In 1937 disaster 18 Sherpas and 12 climbers were buried alive by avalanche that covered their camp. 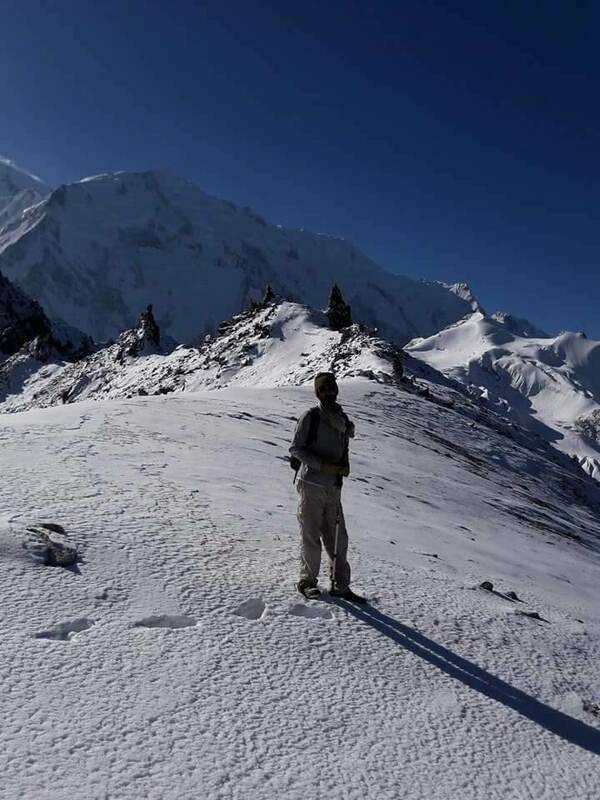 In fact Nanga Parbat has claimed more lives than any other 8000ers relative to the number of attempts, hence the frightening nickname of Killer Mountain. It was first climbed in 1953 by a joint Austrian – German Expedition. Hermann Buhl made the final ascent in a tortuous 41 hours solo ordeal without oxygen. Italian mountaineer Reinhold Messner climbed the south face (Rupal Face) with his brother Gunther in 1970, descending by the Diamir face, where Gunther lost his life in an adventure. Arrival at Islamabad, transfer to hotel, after shower and some rest City tour of Rawalpindi and Islamabad, Rawalpindi is lively bustling City with the crowded streets and colourful bazaars, through its lacks the grand monuments, The bazaar should appeal to anyone with the desire to see the real Pakistan, Islamabad is new Capital 36 years old well-planed City of Pakistan is lush green at the footsteps of Potohar hills. 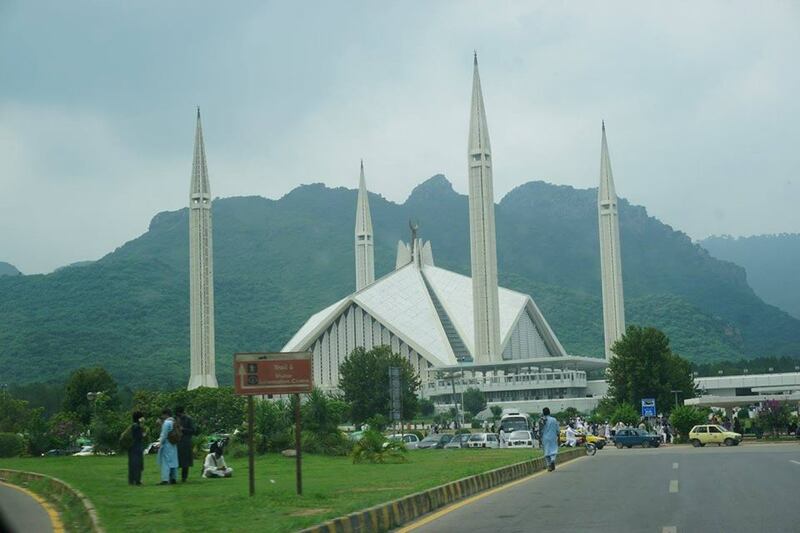 We shall visit Faisal Mosque, Shakarpearian Park with a visit to Lok versa, institute of Folk and Traditional Heritage. Evening back to hotel for overnight. Early in the morning drive to Chilas (480km,in 12-13 hrs) en route we will make stop at Besham for lunch, Karakoram Highways most exciting and thrilling. It is a monument to the engineering feast and one of most spectacular roads and worlds highest metalled border crossing .It connects Pakistan and China stretching over a distance of 1300km between Islamabad and Kashgar, The Karakorum highway was constructed jointly by the Chinese and Pakistani, begun in 1960s and finally constructed in 1976,It is en engineering wonder, but cost of many lives. Dinner and overnight at hotel in Chilas. 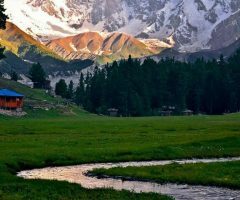 After breakfast at hotel in Chilas, we drive to Tarishing in Astore valley, which is the launching ground for many treks to Deosai Plateau and Expeditions to Nanga Parbat. The narrow jeep road to Astore leaves KKH at Jaglot,60km south of Gilgit and 30km north of Raikot Bridge, crossing a bridge over the Indus river and heading 40km south east up the Astore Valley skirting Nanga Parbat North east Flank,6-7 hours drive, dinner and overnight at Camp in Tarishing. From Tarishing to Bazin(3650m)it takes about 5 hours trekking, After breakfast we start early in the morning towards Bazin also known as Polish Base Camp, The trail climbs steeply up the lateral moraine of the Tarishing Glacier. 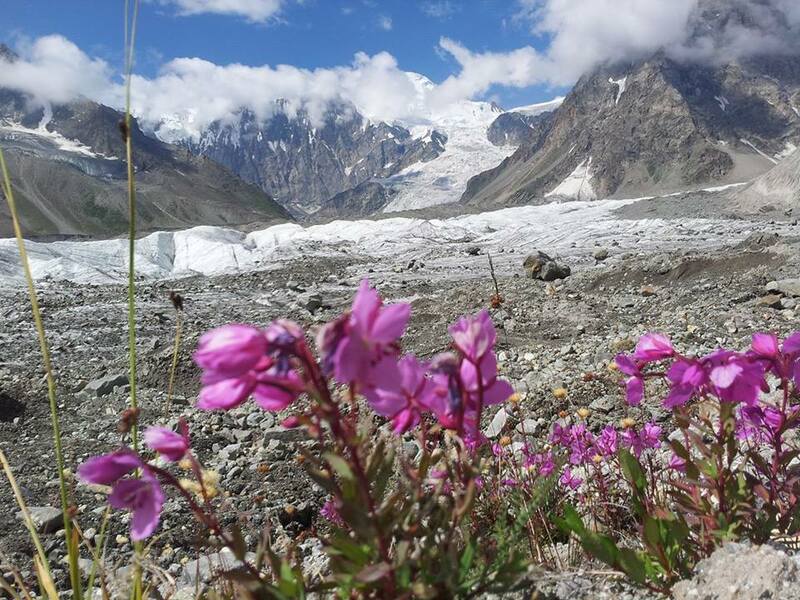 After crossing the glacier about in half an hour we continue trekking through the scenic Rupal Village with terraced fields of various crops and enjoying ever changing views of Nanga Parbat. The trail follows the Valley north side of a narrow green Valley, through groves of willow, poplar and juniper then you pass a small lake and round a corner of the Bazin Camp. 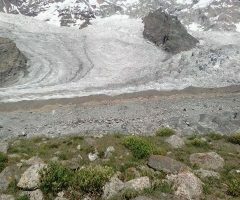 A flat green meadows between the lateral moraine of Bazin glacier and the mountain. 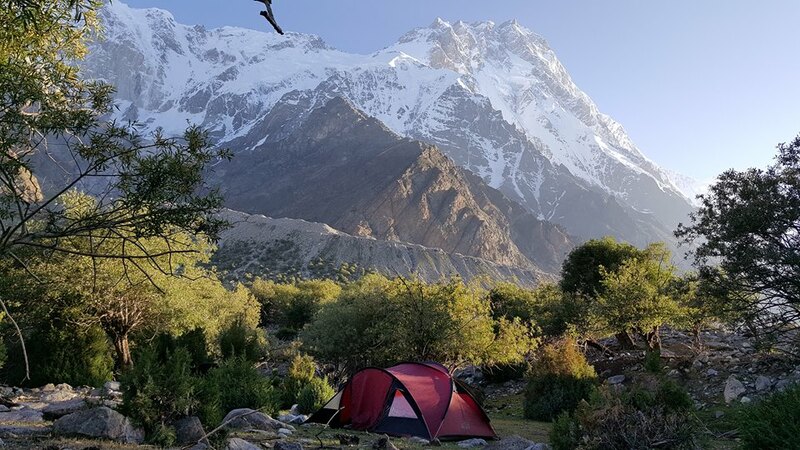 The camp site is named after Dr. Karl M Herrlikoffer the leader of eight German expeditions to Nangaparbat, including first successful Expedition in 1953.overnight in Camp. After breakfast at Camp, we start trekking towards Shaigiri base camp, Crossing the Bazin glacier over a trail in one and half hours along a donkey path, after crossing the Bazin glacier from the top of moraine on the western side you look down on a huge grassy field known as latoboh,(3530m)The broad level Meadows frequently by Ropal herders. Latoboh is also known as Tupp meadows because its like a Tupp which must once have been the bed of Lake. we do our lunch at Latoboh with some of good views of Killer Mountain. further 2 hours trek to Shaigiri, Meaning of Shaigiri in Shina language is (White Stone),overnight in Camp. 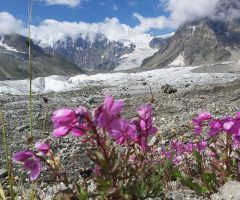 DAY – 6: Shaigiri-Mazino Base Camp. After breakfast in Camp we will start towards Mazino Base Camp, we will climb steep almost 520m, Lunch, Dinner and overnight in Camp. 3-4 hours trek. 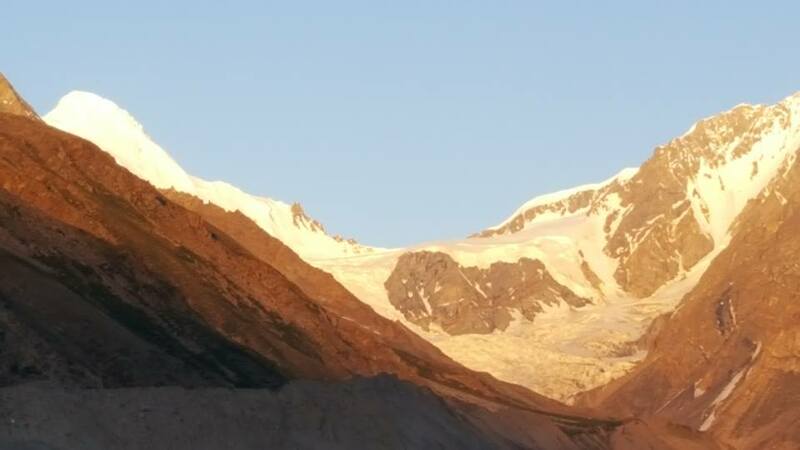 We will do our breakfast in Camp, steep trek up to Mazino base camp, we will climb almost 650m today, we do our camp at above 4865m. dinner and overnight in Camp.5-6 hours trek. Breakfast in Camp, trek down to Upper Loiba, we will descending almost 850m till Loiba, 7-8 hours, dinner and overnight in Camp. DAY – 9: Upper Loiba-Loiba Meadows. After breakfast we will start our Trek towards Loiba Meadows, it will take 4-5 hours. Dinner and overnight in Camp. DAY – 10: Loiba Meadows- Zangot. In the morning we do our breakfast in camp, Trek towards Zangot 5-6 hours, dinner and overnight in Camp. DAY – 11: Zangot-Kot Gali. Breakfast in Camp, Trek to Kot Gali. 4-5 hours, On the way we will do our Lunch, dinner and overnight in Camp. We do our breakfast in Camp, Trek to Shaichi. On the way we will do stop for lunch, dinner and overnight in Camp.5-6 hours. DAY – 13: Shaichi Rest Day. After many days hard trekking, we do rest at Shaichi, a beautiful place to relaxing and explore around campsite. Breakfast, Lunch and Dinner in camp. After breakfast in camp we start towards Gutum Sagar, it will take 5-6 hours until we reach our camp, Dinner and overnight in camp. 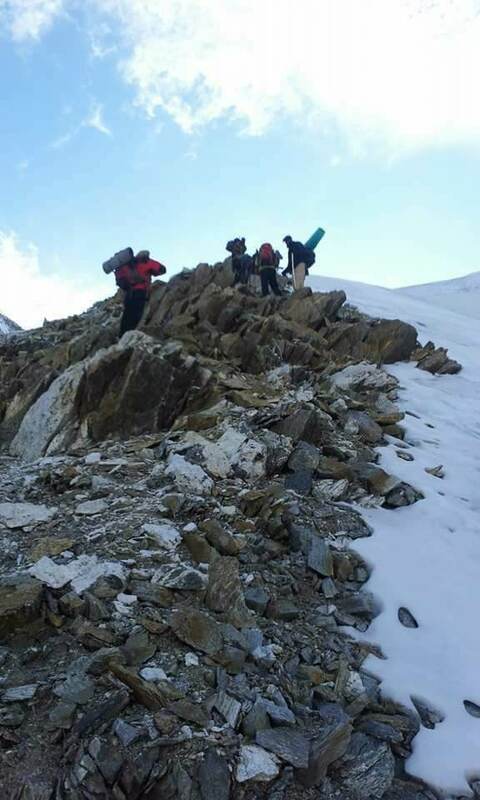 After breakfast in camp we will start trek towards Julipar high camp, we climb almost 800m, on the way we do our lunch, It will take 5-6 hours, dinner and overnight in camp. 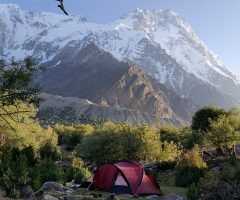 We do our breakfast in camp, Trek down to Beyal Camp, A beautiful campsite, with stunning view of Nanga Parbat Riakot Face. Dinner and overnight in Huts/ camp. Total walk, 4-5 hours. 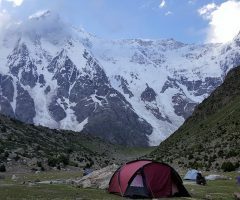 Breakfast in Camp, Trek down to Fairy Meadows, 2-3 hours easy walk, afternoon free for relaxing at Fairy Meadows with amazing view of Nanga Parbat, dinner and overnight in Huts. After break fast we will start our Trek down to Tato Village,2-3 hours easy walk. from here we drive by Jeep to Raikot Bridge, 2 hours drive, further drive by Mini bus( Van) to Karimabad. 2-3 hours drive. Upon arrival transfer to hotel, dinner and overnight in hotel. Early in the morning we drive to Duiker for sun rising on the top of some beautiful mountains, including Rakaposhi Peak 7788m, Diran Peak,7266m Ultar Peak 7388m, Golden Peak 7027m and Ladyfinger Peak,We do our breakfast at Eagle Nest hotel Duiker with some Panoramic views down to whole Hunza And Nagar Valley Proceed to Altit village, visit over 900 years old Altit Fort and the old village, further walk to Baltit Fort which is above 700 years old, we do our lunch at local restaurant in Karimabad which is famous for local food, back to hotel, afternoon explore Village meet local people, visit some old traditional houses, see the real culture of Hunza, which is probably most famous for their lifestyle and longevity. At the evening we organize Culture program for our group with traditional Hunza live music known as (HAREEP), along with local dance, dinner and overnight at hotel. hrs boating until Gulmit, transfer to hotel, visit Village and we do some hiking on Gulkin Glacier until Borit Lake, Lunch at Borit Lake, evening back to the hotel in Gulmit. After breakfast at hotel in Karimabad. 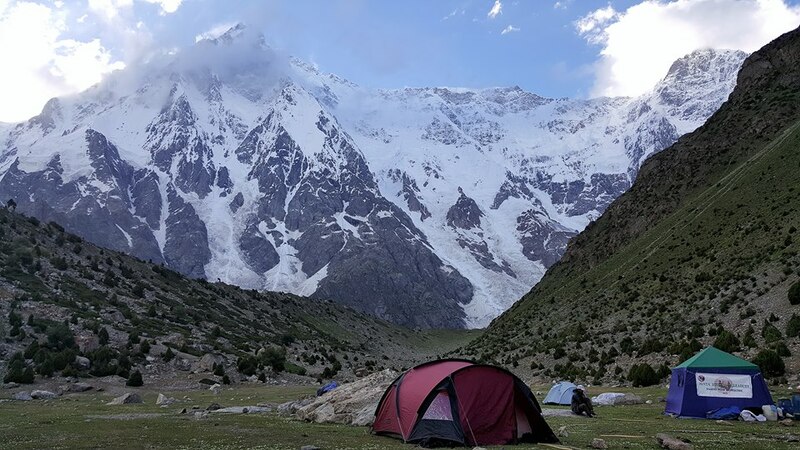 Drive to Gilgit, ca 2-3 hrs, on the way to Gilgit we do stop at Rakaposhi view point for Lunch, proceed to Gilgit, afternoon free for shopping at Gilgit Bazaar, evening back to hotel, dinner, and overnight at hotel. 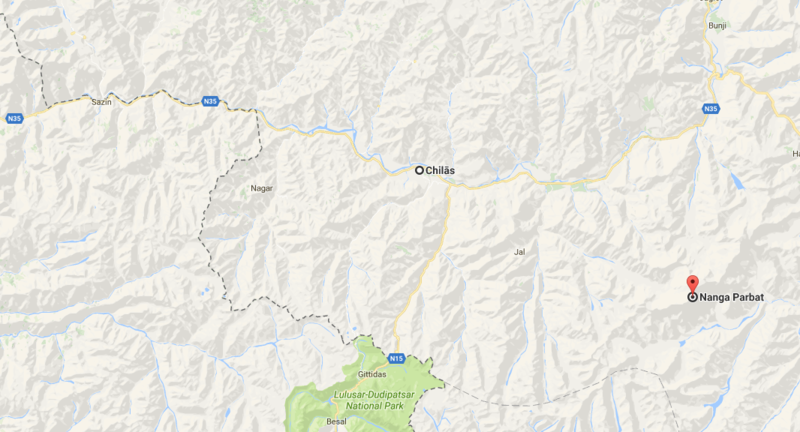 After breakfast we drive to Besham ca 330 Km via karakoram Highway ,it will take ca,8-10 hrs, from gilgit, En route we stop for lunch at Dassu ,dinner and overnight at hotel in Besham. 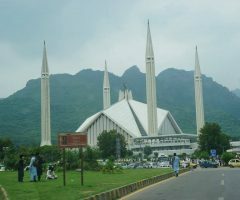 Drive to Islamabad via Abbottabad, The drive to Islamabad is full of Scenery and the Culture on the way is so enchanting that you cannot come out of it until you stop at your hotel in Islamabad, It will take ca 6-7 hrs from Besham, 246 km. dinner and overnight at hotel. Transfer to Islamabad International airport, Fly homeland. End of services. Accommodation as per the list provided. Private air-conditioned transport for all ground transfers. Hotel rooms in sharing bases, and meals. Entrance fees to museum and sites during the tour. Sleeping Tents on sharing bases, Kitchen and Mess tent Mats. 15 Kg Climbing Equipment and personal baggage free on the Trek. Breakfast, Lunch and Dinner during Trek. Personal sleeping bags and personal nature clothing/equipment. Extras at hotel, like drinks, laundry, phone calls, act. Insurance liability and other under force conditions, medical aid and helicopter rescue. Tip for Guide and kitchen staff. Anything which is not mentioned at above given programme. Monday 17th June until Monday 8th July. Sunday 11th August Until Sunday 1st September.